How is it that the death of someone you’ve only met once can make your heart jump and bring you to tears? 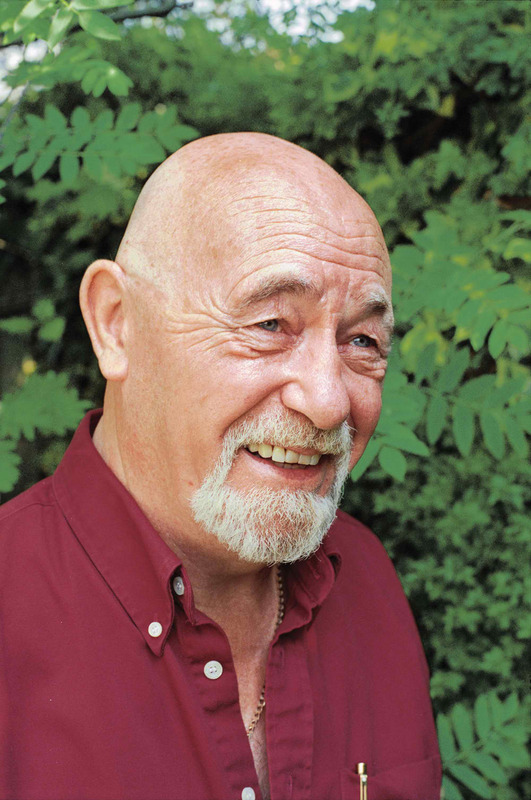 Brian Jacques, author of the Redwall series and many other books, related and otherwise, has passed away at 71 and left us for the “sunny hillsides and still meadows” this past weekend after a heart attack. He left behind a wife, two sons, and millions of fans across the world to mourn his loss. There’s an excellent article in the Telegraph talking about his life and his accomplishments, but this is my memory of the man who started everything for me. I’ve said it before and I’ll say it again — this was the man who taught me how to write. My passion for writing and storytelling was kindled by my grandfather and Mr. Jacques. My grandfather could pull stories from the clear blue and Mr. Jacques appeared to write them in very much the same way, though I would later learn that a writer’s job is much more difficult than that. To this day, I have a shelf dedicated to Brian Jacques. His work really isn’t the type to put away. I began rewriting his novels, adding a character to each one (not that they weren’t already perfect), teaching myself from his work, how to work with scene, dialogue, and character development. Later, I moved on to what is considered fan fiction before leaping off that terrifying yet exhilarating cliff of writing my own story — not from someone else’s characters, but from my own mind. I may have become a writer one day without Mr. Jacques’s influence, but it certainly would not have happened when it did and I certainly wouldn’t be what I am today. I remember the first time I ever met the man back in 2002. Somehow, I had managed to find myself in the possession of a flier advertising a reading by Brian Jacques at Notre Dame, which I lived less than five minutes from, assuming first that it wasn’t a home football game weekend, which would have stretched the trip out to a good hour thanks to the traffic that took over Roseland, a suburb (maybe) of South Bend. Fortunately, this took place on an October Sunday afternoon, so no worries about football. My mother had never read the books and was probably much more interested in napping the afternoon away than taking her near-spastic-with-excitement daughter to Notre Dame, but she did. I should probably call and thank her again for that. My mom didn’t want me sitting apart from her with the other young fans up front, so we sat in the back of the lecture hall. 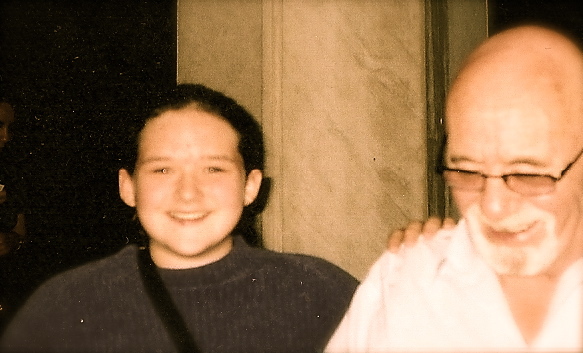 This would probably be a good time to mention I had neglected (knowing my 12-year-old self, probably on purpose) to wear my glasses, so the stage was a blur. Fortunately, I discovered that, if I looked through my camera’s lens, I could see everything clearly, if not in a miniature version. I fidgeted with the sleeve of my purple sweater, craning my neck for any sign of his appearance on stage. “What time is it?” I asked my mom, who was reading a book she had brought along. “Two minutes after the last time you asked,” she tells me, not even looking up from the pages. I sighed, frustrated. She didn’t get it. Mr. Jacques was pretty much the most important non-family member person in my world. I had been deep in the Redwall series for a few years at that point as was as in love with a man old enough to be my grandfather as a kid could appropriately be. And on top of it, he encouraged kids to read. And not some puny 150-page kids books, either. He had gotten fifth-grade me and millions of others to read books consisting of 300 pages or more. As far as I’m concerned, the man’s a hero. A roar of applause erupted from the audience and he stepped out from behind the stage. He didn’t look as tall as I had expected him to be, but other than that, he looked just like his picture on the backs of his books. The man was a rock star. He was about sixty at the time, with a tonsured head and white hair. His wrist was in a brace due to tendinitis from typing on an old typewriter, his preferred method of getting words on the page. He talked about his life, how he had gone to school with Paul McCartney and how his teacher had accused him of cheating when he wrote his first story about a bird who cleaned the crocodile’s teeth. He told us about the numerous jobs that led him to being able to write such varied and believable characters and locations, where he got his ideas for characters and plot lines, his hobbies that play into the world he had created. He told us how he writes all the songs he put into his stories, how he has written recipes for the food he had invented. He spoke about how the Redwall series began — as a gift of story to the students at the Royal Wavertree School for the Blind in Liverpool, where he volunteered while he was driving a truck as a milk delivery man. Then he opened it up for questions. There were many questions about specific characters and whether or not he would write another book (to which he responded, “As long as you will read them, I will write them,” an announcement that brought a round of applause from the crowd), and if he would use their names for characters. Possibly the most important question (one I’m sure, looking back, he got all the time) was not asked until later in the talk – What is the greatest advice you can give for young writers? The line of people waiting to have him sign their books was enormous. I was fortunate enough to get in line with a number low enough to merit the signing of more than just one book. Some of the people behind me were only be able to meet him, which, to be honest, I would have been more than happy with and I couldn’t believe I’m getting more than that. But my world was about to be rocked once again. My mom took my camera from me as we get to the front of the line, figuring the best she could do is get a picture while he signed my books. His wife, Liz, was with him and must have noticed my mom with the camera ready, because I saw her tap his shoulder mid-signature and whisper in his ear. She gestured to me to kneel beside him and he told me to put my arm on his shoulder like we were old friends going for a pint at the pub. I could tell by the look on my mother’s face that she wasn’t pleased about the pub statement, but I honestly didn’t care. I’d do the damage control later necessary to make my mom all right with him, despite the fact that she thought he had just encouraged her thirteen-year-old daughter to drink. My mom took about four or five pictures and I shot up to cloud nine. I had been given the gift that day of meeting my idol, if I can say that reverently, a joint gift from my mom and from Mr. Jacques. I guess he did his best to live up to his promise to continue writing as long as we would still read. I think he might have known that that promise could never have been kept. People who love books will pass on their favorites to their children and to their friends. It’s how writers achieve immortality. He could never have lived long enough to see the last of his readers, because, hopefully, someone will still be reading them to the end of time — maybe not in printed book form, but in whatever comes after the Kindle. Others’ condolences and memories of this man are their own, so there’s not much left for me to say except . . . thank you. You’ve touched many lives and changed many more who will never have the opportunity to meet you or tell you so themselves. You’ve inspired a new crop of writers and enchanted your fans, from Dibbuns to elders, with your stories of courage found in both the smallest and greatest of us. You will be missed. Note: His twenty-second Redwall book, The Rogue Crew, will be in stores in May. Who else is buying? When I started out on this, we’ll call it a journey, I was afraid of not finishing. After the curriculum change with the journalism department, I was taking a lot of multimedia classes with multimedia projects that would be eating up a lot of my time and brain energy. How on earth was I going to make it to 50,000 words in a month? Or two months? I spent September planning my characters and outlining, welcoming the brief and far-between moments of epiphany that gave me insight to how different things in the story would take place. Then October first came along and it was time to get started. I patted myself on the back for writing more than 800 words a day, thinking I was doing well. I was really high on myself on those nights when I would get more than 1,000 words written. 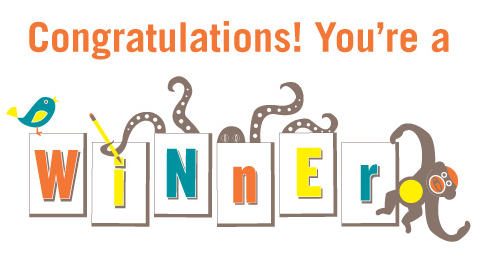 The congratulations more or less stopped, however, when I realized the story was not going to be able to finish in only 50,000 words and if I wanted to finish the story by the end of November, 1,000 words a day would need to be my norm. When asked what my word goal would be when Cathy was making up the poster, I said my number goal was 70,000, thinking that would be plenty. The story could be finished in that 20,000-word window and I wouldn’t feel bad for not hitting the higher number if the requirement was still only 50,000. Wrong. The story was finally finished last night around 10 p.m. and included, according to the NaNoWriMo site, 79,320 words, with, after I fill in the blanks I left for myself when I couldn’t come up with a name or needed to look something up, more to come. There will be a lot of editing, too, as the big action of the story didn’t really happen until the eighth chapter or so. A lot of bits and pieces I loved will have to be cut and will be copy-pasted to another document and stored away for future use on some other project. But nothing will be lost, which makes writers feel a lot better after cutting up their brainchild. One thing I liked was letting my characters surprise me. I know that sounds cliché, but it’s true. While most of the characters ended up where I wanted them, they took their own path on how to get there. My villain changed, I think for the better, and was suitably evil while still being sympathetic, something I learned from The Perks of Being a Wallflower. Looking back, I plan to do more present tense descriptions like I found in The Silence of the Lambs and maybe split some of the longer chapters into two, which I think might move the action along quicker and easier. I had already done that with one chapter that was beginning to grow to ten or twelve pages, single-spaced, and I didn’t want any chapter to come even that close to the prologue (which sits now at eighteen pages, single-spaced). I’m not going to say there was no stress involved in writing this monster, but I was pleasantly surprised at how little of it there was. If anything, forcing myself to take time out of my day to sit and write was a stress relief. I’ve been trying to get myself to do that for years, and it took a class assignment to get me to do it successfully. If I’ve learned nothing else from this class, that would have been enough. So do I plan on NaNoWri2Mo-ing again? Definitely. Will I continue the 750 words a day plan? You betcha. Aside from the revising, I have two started novels that need to be written and you’ll probably hear more about those soon. But for now, I have a 600-word web story and sound slide presentation for News 221 to work on, at least two short non-fiction pieces and the revision of a longer essay to do for ENG 406, at least 20 pages (double-spaced) of revision for the aforementioned for ENG 407, editing an audio story and planning another for NEWS 132 to work on, so I need to get back to the work I’m actually getting credit for doing . . . So I’m beginning to think 50,000 words won’t be quite enough. I finished the prologue to my NaNoWriMo story about two days ago. It’s not quite 10,000 words long, which translates into about 20 pages single-spaced, almost a fifth of what the story would be. The first chapter, which I finished last night is a little more than 4,600 words (about 9 pages). If I was nice to the left side of my brain, I would try to continue with about-ten-page chapters, which would amount to about 8 chapters in the book, which I’m doubting will be enough space to tell the story. Sure, I could probably tell the rest of it in about 35,000 words, but it would look thrown together and the characters would develop like old film that had spent too much time in the heat. Not a pretty picture. This means I might be spending significantly more time on 750words.com than I originally thought. 750words.com is a website for writers who want to establish a serious daily routine of writing. It counts words, for one thing, setting a minimum of 750 a day to actually count for anything. The site also reads the words you use and analyzes them for updates on your subconscious state of mind. For the most part, I think this is a bit blarney-ish, but the other information the site offers about your writing style is coming quite in handy for understanding my writer self. So far, I’m averaging more than 1,000 words a day, some quite a bit more than that. It’s beginning to look like there will be several more thousand-plus word days in the next month and a half or so if I want to finish the story, not just the 50,000 words by the last day of November. On a lighter note, I’ve finally been able to find names for the characters in my prologue and even some for the rest of the story. I hadn’t thought to use random name generators before, choosing to slave over notepads trying to think of my own, which turned out less than spectacularly, but the one I found was fantastic. It gives you the option for a truly random name or one that fits within the parameters you give it, such as ancient, mythological, historical, regional/national names, and even options for fairy, witch, hillbilly, and transformer names. I think I’ve found another website to add to my reference list. So now I’m off to start work on the rest of my story, which, thankfully for my lack of real research takes place in our own time, so I am free to include technology I am more familiar with. I’m beginning to think that this may result in some late writing nights for me, so, if you will, please pass the coffee.